"Creating systems and machinery that allow the achievement of this optimal “blend” is SMI's main objective. SMI's ongoing commitment to improve the technological content of its machines has allowed us to make available in recent years more and more advanced and efficient packaging solutions, which were unthinkable even only ten years ago." 1. Packaging is a vast industry catering to all others industry across the globe. It forms to be an essential part of every industry. Throw some light on this. The packaging market is continually evolving and pays great attention to requests coming from markets in any country. While consumer preferences rapidly change, Food&Beverage companies look for innovative packaging solutions with a particular focus on flexibility. In fact, the significant increase in the variety of products launched on the market requires as many high quality, visually appealing packages. 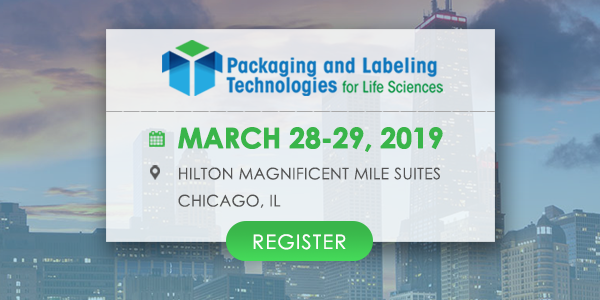 Looking to better serve their customers, packaging professionals must devise top-of-the-line solutions in terms of efficiency and operational versatility, while keeping an eye on costs. Such objectives can be achieved only choosing flexible systems, designed to handle different products and to switch quickly from one format to the other. In order to quickly meet these packaging market's continuous changes, SMI invests every year huge resources in research & development activities connected to innovative projects. 2. “Smart packaging will become interactive with consumers” What is your perception in this regard? Please enlighten us on SMIGroup and its products focusing on "bottling plants and packaging machines"
The role of producers of bottling and packaging technology is particularly important for companies of the “food & beverage” sector. In fact, the industrial “packaging” of the product contributes significantly to the success of sales in a sector strongly oriented to the final consumer. Success, intended in the broadest sense of the term, which can be reached only through an optimal combination of competitiveness, cost-performance, efficiency and eco-friendliness of the production process, as well as product and company logo customization and visibility. Investments in advanced technology and innovation are the main driving force for the success of SMI’s strategy. In more than 25 years of business, the foregoing investments have enabled SMI to market an increasingly different and innovative range of machines and systems featuring such high technological content that, in many cases, they have become landmarks in this sector. Back in the 90s, for example, SMI was the first automatic packaging machine manufacturer to introduce fiber optics in machine wiring used for the high-speed exchange of signals, all to the advantage of the accuracy, reliability and flexibility of secondary packaging solutions. For companies as SMI, working in the field of bottling & packaging machinery and systems, it is crucial to be able to offer, both to its existing and potential customers, a wide range of solutions that are easy to customize and adapt to the changing needs of the consum er market. With nearly 6,000 primary and secondary packaging machines installed worldwide, today SMI is a reference point for all those companies in this sector which are constantly on the lookout for innovative, environmentally sustainable and costeffective technical solutions, able to ensure high levels of competitiveness, efficiency, flexibility and energy saving. In line with SMI's historical commitment to continuous innovation, our R&D labs have recently made available on the market a new range of primary, secondary and tertiary packaging machines featuring the ERGON brand. The new range is based on design choices inspired by key concepts such as ergonomics, technology, sturdiness and modularity, masterfully blended in the new ERGON systems to mark a new, significant evolution in the history of SMI products. 3. With years of experience in packaging – what would you estimate as the most important challenge for the packaging industry in the future? Beverage and Food industry is in constant evolution and SMI, as a leading manufacturer of packaging machines, play an important role meeting the industry's latest requirements by proposing high technology equipment and systems, which can effectively satisfy the expectations of each single customer. Industry operators in Italy and abroad have always admired SMI for its distinctive “corporate style”: a style based on innovation, technological excellence, top quality and a strong focus on the market, as well as a keen attention to social issues, human resources and environment. SMI's business decisions translate into a number of operating strategies that reconcile our growth targets with the economic and environmental sustainability of the products we make and the territory in which we operate. Our commitment in this regard is expressed each and every day in our intensive research and development of new technologies, to offer bottling and packaging solutions to our customers which comply with the increasingly stringent parameters of production cost reduction and energy saving. When speaking of complete and efficient bottling and packaging lines, sustainable both from an economic and an environmental standpoint, we must necessarily start from our customers' needs when it comes to reducing energy consumption and the running and maintenance costs of production facilities. A good road to take to optimize systems and processes is that of integrating machines and systems within the bottling and packaging lines. Investments made by the SMI Group in recent years have privileged this design strategy, allowing us to implement a series of highly innovative solutions in terms of compactness, efficiency and energy saving. 4. How would you expect the influence of social media platforms and different communication behaviours on product and marketing campaigns? Beverage industries will have to face growing competition between sector operators and adopt product diversification strategies based on market demand. The main challenge for beverage industry is, and will be, maintaining their leadership position in offering high quality products at a reasonable price. Packaging also plays a fundamental role for these industries as it is how products reach consumers, maintaining beverage characteristics while fully complying with quality and safety standards. The beverage industry will need to cooperate with the suppliers' chain in order to adopt more and more efficient manufacturing processes, to improve energy saving and to minimize consumption and costs. 5. SMIGroup core competencies lie in the smart packaging and packaging Solutions with wide range of fully automated machines. Can you tell us how your development initiatives are shaping up, in the current industry scenario? Product and process innovation will be playing a fundamental role in the growth of manufacturing companies, effectively becoming that divider between who will go on growing and who, sadly, will be slowly emarginated by the market. For years now, SMI has placed research and development at the core of all its activities and has adequately equipped itself to be ready to face those future market challenges. Our customers are asking us for machinery that consumes less, respects the environment and does not lose its initial investment value and SMI responds with innovative solutions. There’s no doubt that people and company sensitivity over the environment and eco-compatible solutions is really growing fast. Solutions needing ongoing innovative technological development. Recently, SMI concentrated all efforts on creating new products with two predominant features: energy saving and advanced technology. The entire group has been concentrating on creating machines and systems with reduced environmental impact, effectively responding to the new requests coming from a continually evolving market. SMI has always been careful over operating flexibility, safety and ease of use, quality/price ratio. The growing awareness of companies, involved in the bottling and packaging of food and beverages, to environmental protection and energy conservation issues has led the manufacturers of filling and packaging machinery to find increasingly innovative technical solutions able to respond effectively to the market's new demands. In terms of reducing the consumption of electricity in its production lines, SMI has installed a series of machines and devices in its machines that allowed it to achieve interesting results. 6. What makes you so different from your competitors in terms of developing these packaging machines? What were the areas focused while designing the machines? What was the target market like? With a strong commitment to innovation, in over 25 years' activity SMI has focused on its research and innovation activities in developing a wide range of hi-tech solutions -both for the end of the line than for the blowing-filling process - making headway in its market segment. SMI successfully combines technology and culture, design and innovation, efficiency and social responsibility: a mix of factors which, together with the flexible approach to the customer’s needs, has allowed the company to set new standards in the packaging world and to establish long-lasting collaborations with many top players in the food and beverage industry. 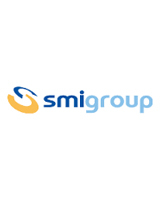 SMI annually invests a large portion of revenues from sales and services in Research & Development projects, creating innovative projects characterized by the use of advanced technologies, energy savings and respect for the environment, which cater both to the product range and the workplace in which this range is designed and built. The redevelopment project of the industrial location, which had hosted the Cima Paper Mills in San Giovanni Bianco from 1907 to 2004, stemmed from SMI's aforesaid continuous commitment to innovation. This location became the new headquarters of the SMI Group. The strong link with the territory is one of SMI's hallmarks. 7. What would you estimate to be the most resistant features for packaging products in the future? What are the market opportunities for Packaging Industry in the next few years? Please refer to answer no. 3. 8. I'm sure the economy is impacting your business in a direct/indirect way - can you share your experiences and throw a bit of light on SMIGroup performances till now? Many of our recent innovations support sustainable development. Among these are ECOBLOC® series, featuring integrated systems of stretch-blowing, filling and capping of PET containers with capacity from 0.2 to 10 L. Suitable for bottling lines of still and carbonated drinks, milk and edible oil, ECOBLOC® systems stand out for their compact, modular frame and for the application of state-of-the-art technologies to ensure the perfect synchronization between the dry environment of the stretch-blowing module and the wet environment of the filling/capping module. Excellent quality/price ratio, environmental performance, low TCO (Total Cost of Ownership) and reduced maintenance make of ECOBLOC® the ideal solution to blow, fill and cap PET containers with up to 10 L liters' capacity, running up to 33,600 bph (depending on the machine model and product features). All ECOBLOC® models are equipped with the optional air recovery system, an eco-friendly technology which allows consistent cutbacks on energy costs and provides up to 40% saving on air consumption. In line with SMI's historical commitment to continuous innovation, SMI R&D labs have recently made available on the market the new range of packaging machines featuring the ERGON brand. The new range is based on design choices inspired by key concepts such as ergonomics, technology, sturdiness and modularity, masterfully blended in the new ERGON systems to mark a new, significant evolution in the history of SMI products. With the introduction of this new range of machines on the market, SMI intends marking another milestone in its history of almost thirty years as a manufacturer of technological cutting-edge systems for the global packaging field. SMI chose to start from the tray-forming machines of the SK series to launch its new ERGON range. The full renewal of the “flagship” of all automatic packers ideally represents the connection between a glorious past, strong with nearly 6,000 packaging systems sold worldwide, and a future full of exciting new projects and new developments to keep improving the efficiency, versatility and eco-sustainability of the machines it offers. We trust that everyone can find information and useful suggestions in the website of www.packaging-labelling.com. For SMI is important to use the web communication system in order to reach as much number of user as possible. The design of packaging-labelling website takes into account the industry’s growing need to improve external communications, making information on the company, people to contact, its product range, news and innovation, trade fairs and events, ect. .